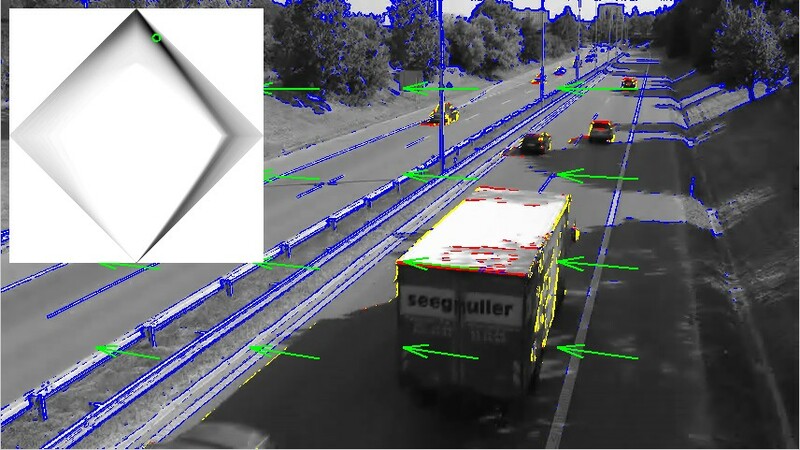 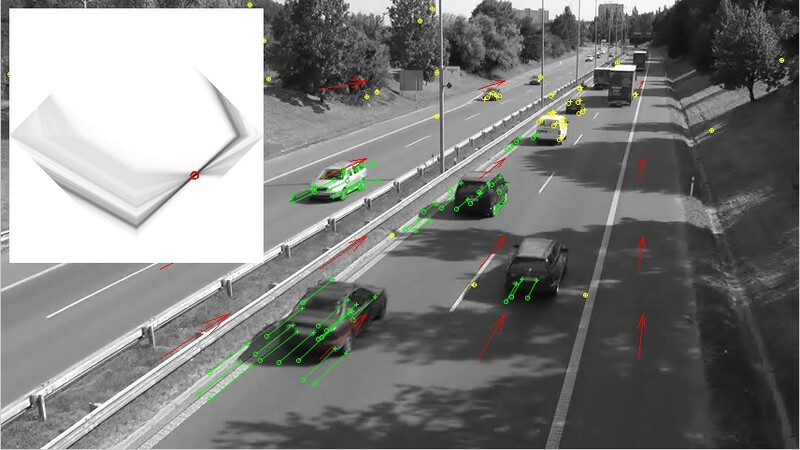 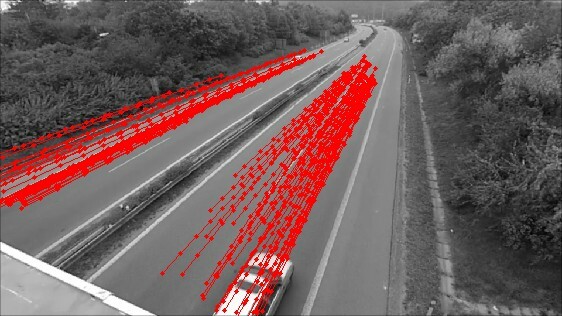 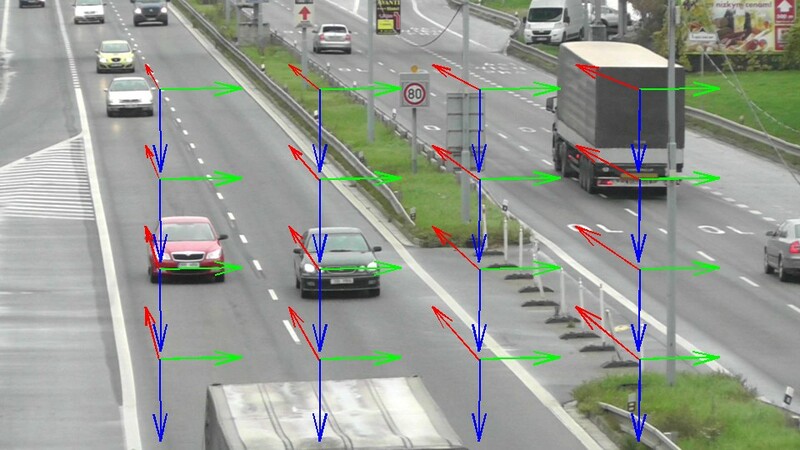 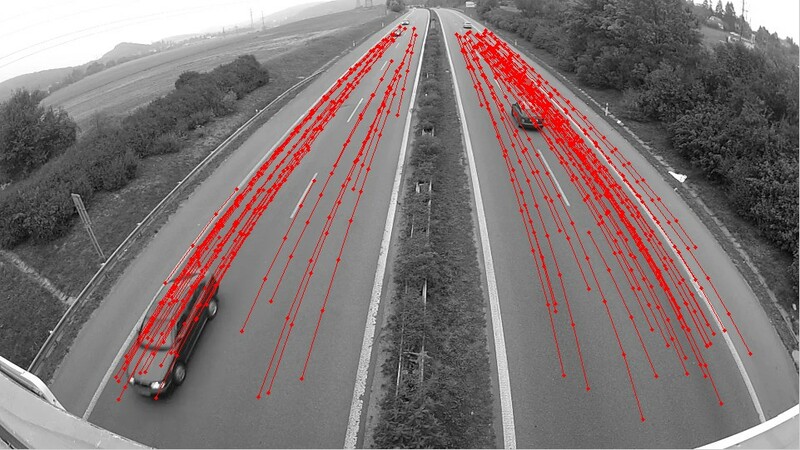 This paper deals with automatic calibration of roadside surveillance cameras. 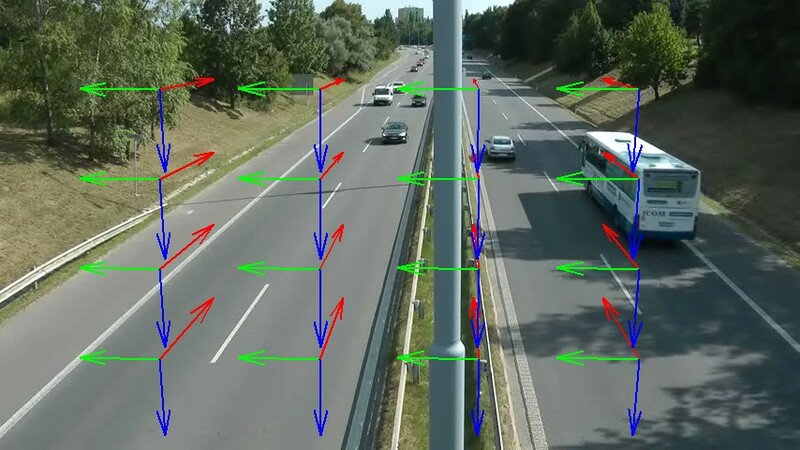 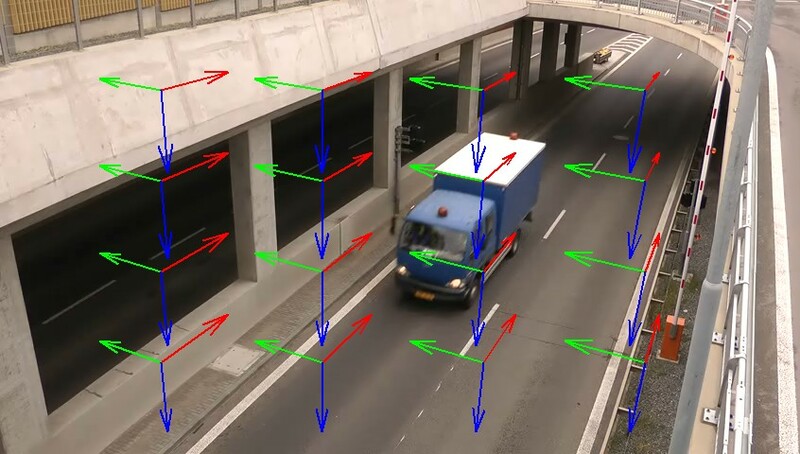 We focus on parameters necessary for measurements in traffic surveillance applications. 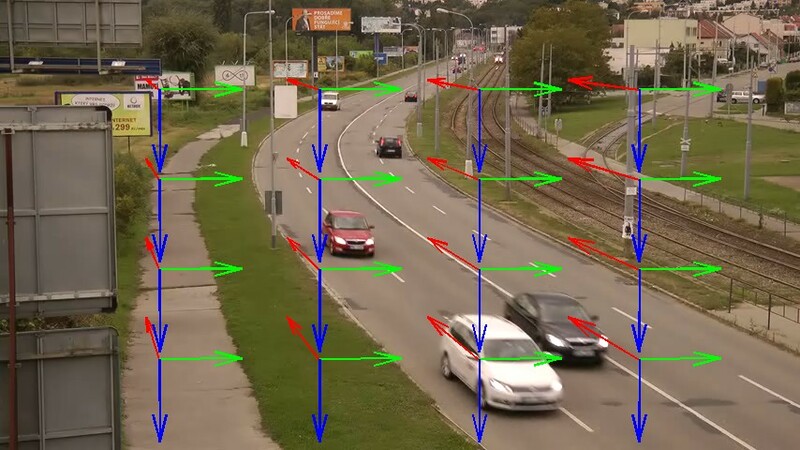 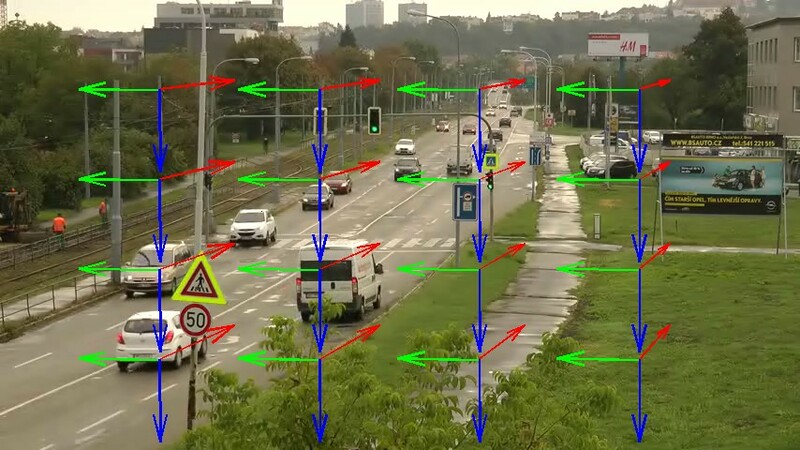 Contrary to the existing solutions, our approach requires no a priori knowledge and it works with a very wide variety of road settings (number of lanes, occlusion, quality of ground marking), and with practically unlimited viewing angles. 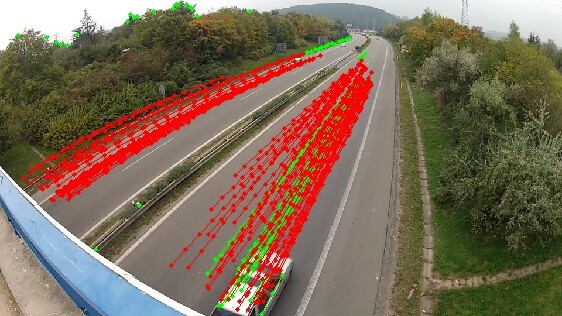 The main contribution is that our solution works fully automatically - without any per-camera or per-video manual settings or input whatsoever - and it is computationally cheap. 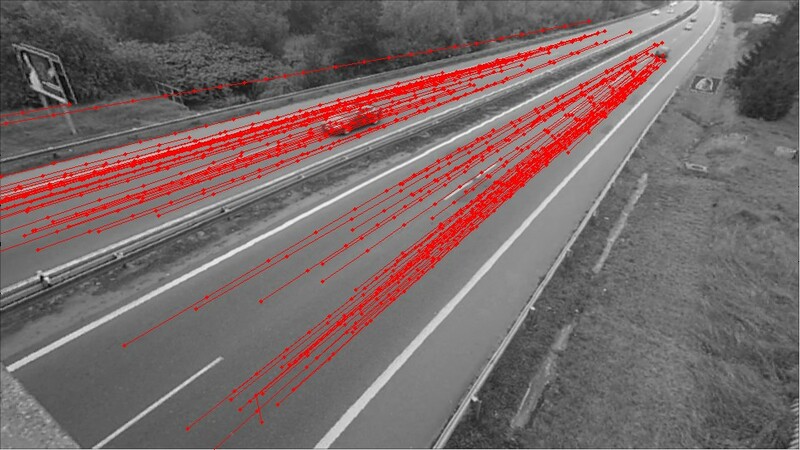 Our approach uses tracking of local feature points and analyzes the trajectories in a manner based on Cascaded Hough Transform and parallel coordinates. 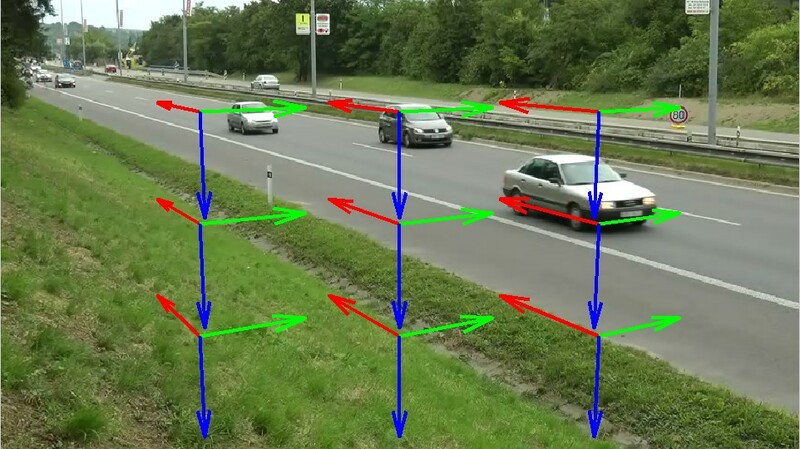 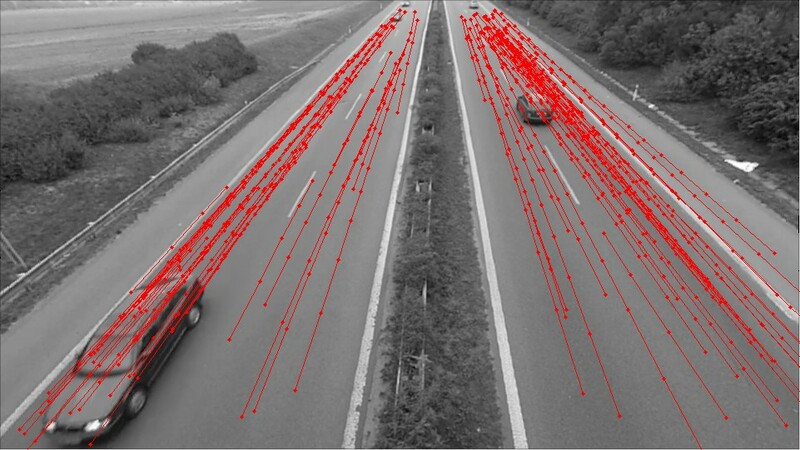 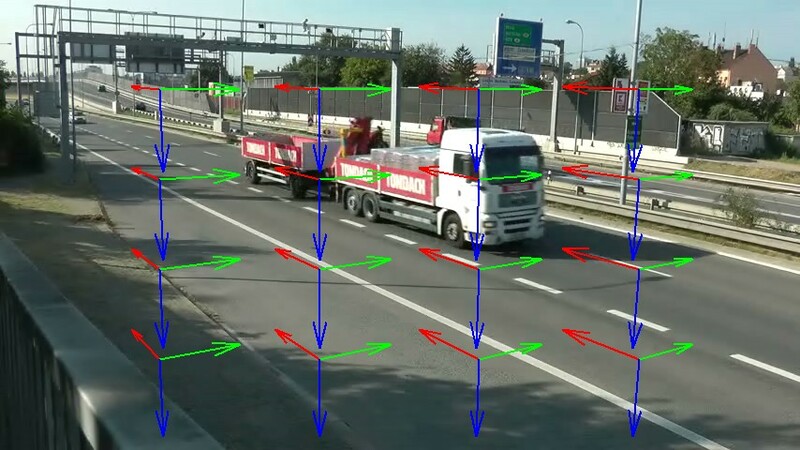 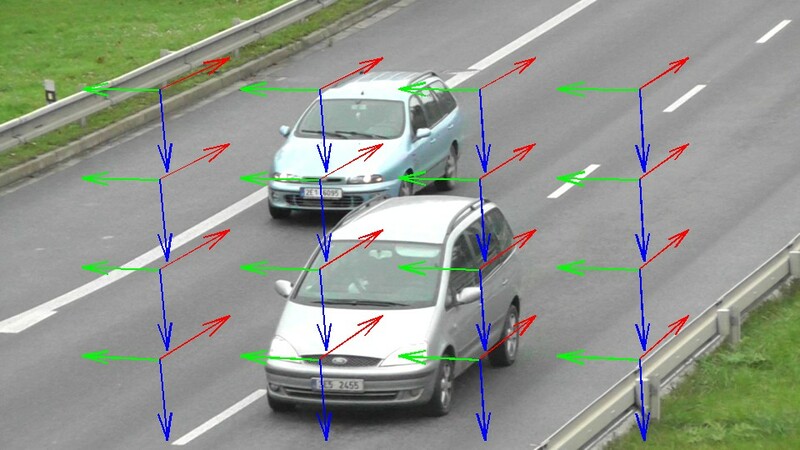 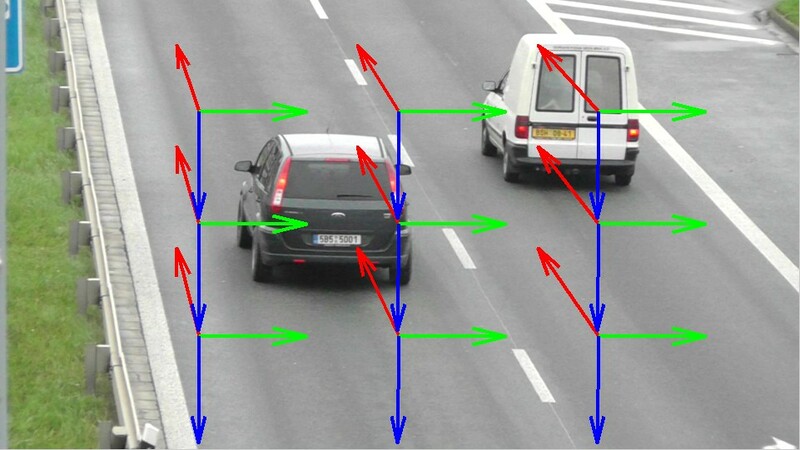 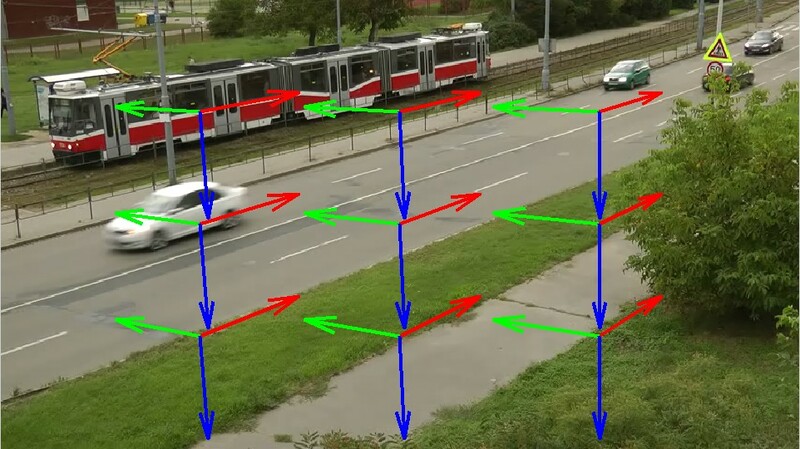 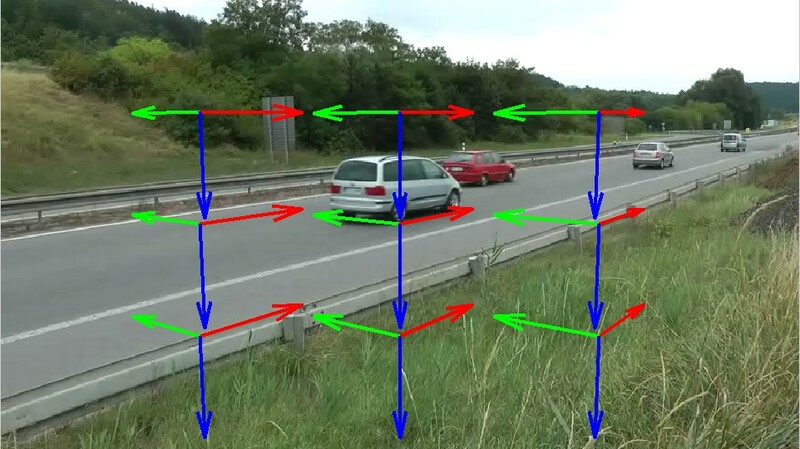 An important assumption for the vehicle movement is that at least a part of the vehicle motion is approximately straight - we discuss the impact of this assumption on the applicability of our approach and show experimentally, that this assumption does not limit the usability of our approach severely. 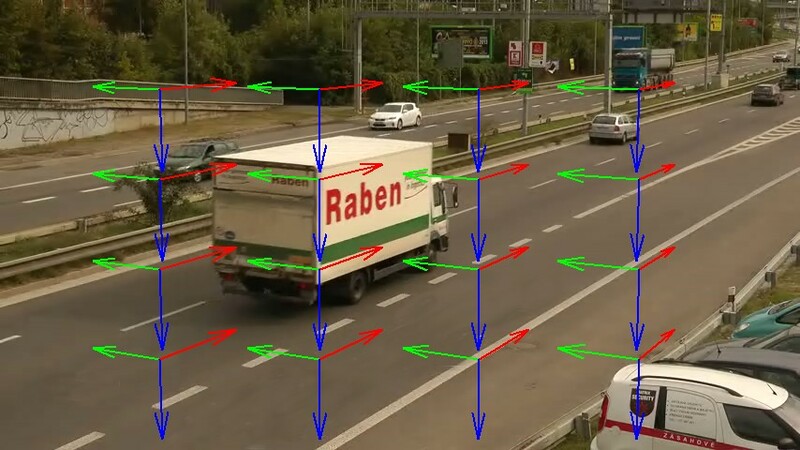 We efficiently and robustly detect vanishing points which define the ground plane and vehicle movement - except for the scene scale. 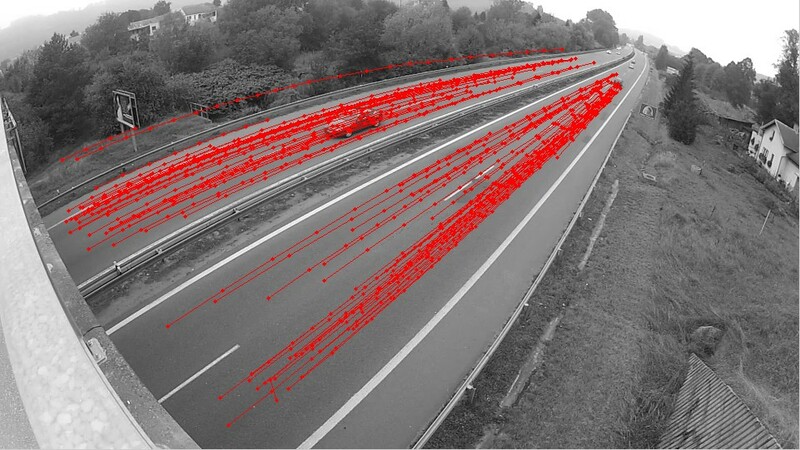 Our algorithm also computes parameters for radial distortion compensation. 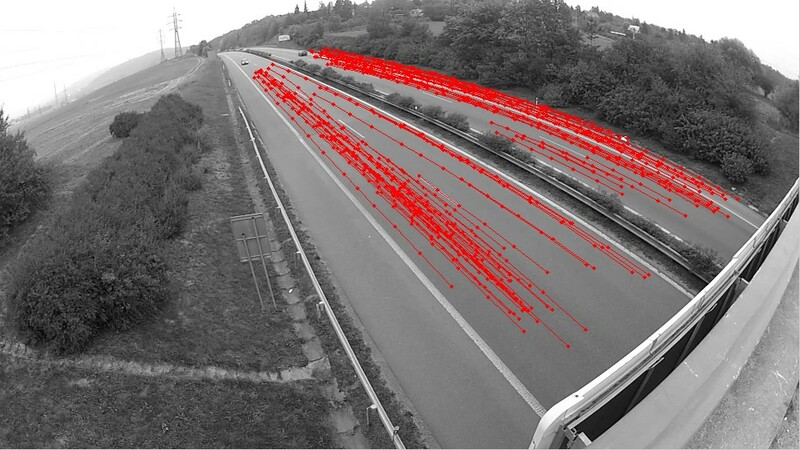 Experiments show that the obtained camera parameters allow for measurements of relative lengths (and potentially speed) with 2% mean accuracy. 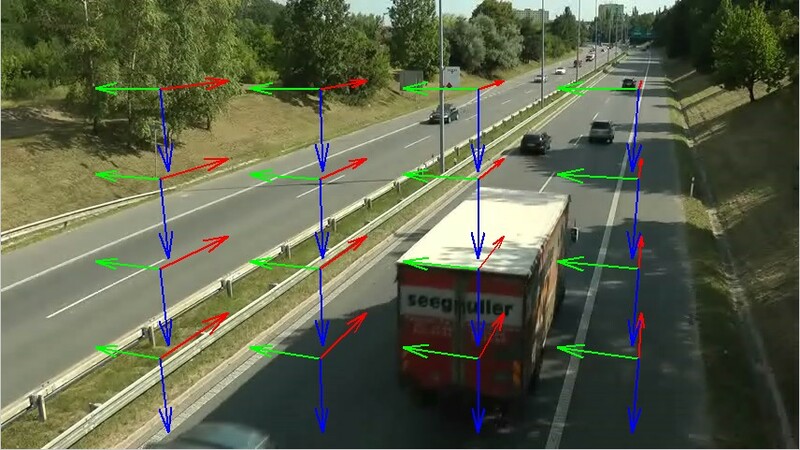 The processing is performed easily in real time and typically, a two minutes long video is sufficient for stable calibration. 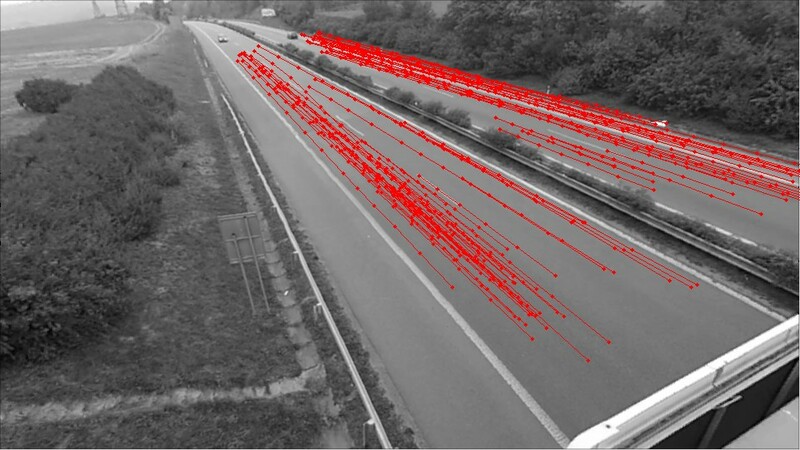 This work was supported by TACR project V3C, TE01020415 and by The IT4Innovations Centre of Excellence, ED1.1.00/02.0070.